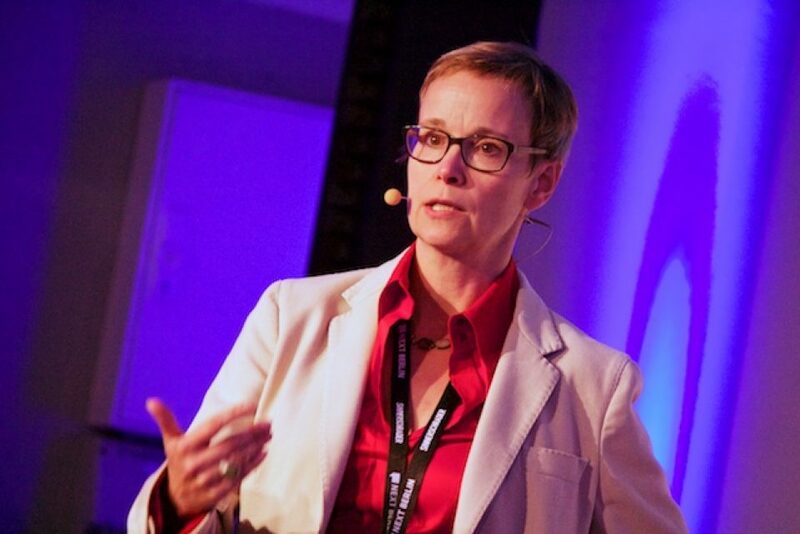 Pia Betton – Service Design: buzzword or magic method? Is Service Design always the answer? When should you use it - and when should you walk away? Pia Betton has some good examples of how - and how not - to use these tools. Pia Betton of Edenspiekermann has learned that just like other designers, service designers like to wear black… She thinks that the world would be a better place - and corporations better places to work - if people saw change as an opportunity to grow, rather than as a threat. The importance of social to organisations only really began in 2008. It's changing hierarchies, decision making structure and the ways people work together. This paradigm has changed the way designers work, too. In many organisations, the introduction of service design marks the end of traditional marketing. A client had come up with a technology which allows you transfer money from one phone to another by bumping them together. The old way of selling this would have been to write a white paper, and go around selling it to clients. Instead, they worked in weekly sprints. They designed a quick prototype of the transaction in a mobile app. They developed a screen flow, coded it and gave it a quick design. Then they tested it with a bunch of people. Many found it scary - they needed some more verification. They then ended up with a different user flow. A company that does artificial arms and legs had a very strong focus on technology, Their prosthetics have some of the most advance technology in the world. They needed to shift the perception of the product to one that helped people with their everyday lives. They talked to users, and they found an interesting set of connections between the doctor, the technician, the insurer and the user. It takes months to adjust a limb for its user. The underlying message was about being part of normal life: independence and quality of life. They now sell quality of life - that helps the people within the company to understand the motivations of the people they serve. They spent time telling the stories of the partnerships between the technicians and the users. Service design can have a big role in culture change. Boards can forget the human factors behind a strategy change. Diversity has a completely different meaning in different cultures. So, they identified managers who had great results personally with diversity. They became role models for the change. They gave identifiable reasons why people should not be afraid of diversity. A company, at the corporate levels, wanted to shift to an ideas-led culture. So they created Free Tuesday - no telephones, no meetings, no internet. Create ideas! It didn't work. It wasn't part of the culture, and it didn't help people understand why this was important, how they should create ideas or what they should do. So, they started a service design project, to figure out the "customer" journey, and where the cultural problem was. Service design looks at a company from a customer perspective - it doesn't care what department people sit in. But don't start a process, if there isn't the will to finish it. A company needs to be capable of making the necessary changes to achieve appropriate ROI, it's not worth starting the process. You can research yourself to death - not all ideas come from research. Sometimes you need to just go in there and create the great ideas.